Former National Police chief and current Bureau of Corrections director Ronald dela Rosa advised Senator Antonio Trillanes IV to go home and don't be afraid, who remains in the Senate following President Rodrigo Duterte's move to revoke his amnesty. Dela Rosa said that only arrest warrant can the arresting officers apprehend the senator. 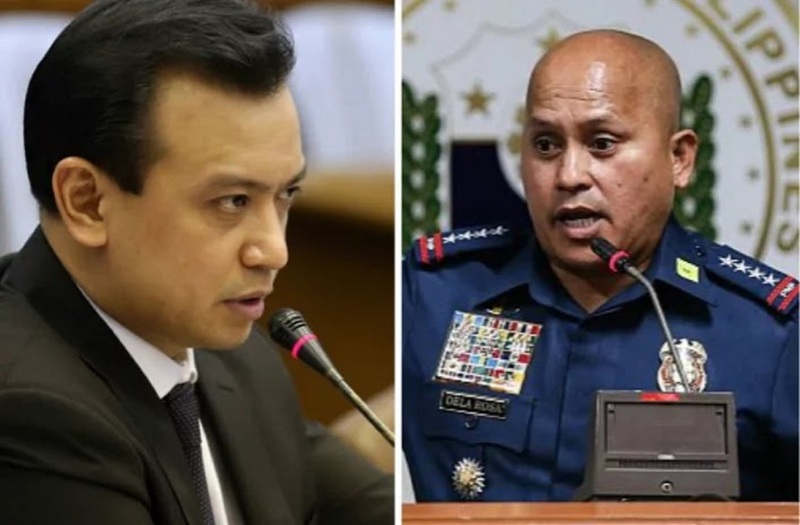 He also said Trillanes could call the PNP chief Director General Oscar Albayalde and Armed Forces chief of staff General Carlito Galvez Jr if indeed they would not order his arrest.